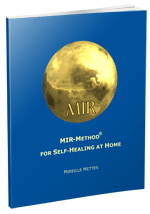 If you start using the MIR-Method and take advice and information from this website, you must know they are meant as an addition to and not as a replacement for your doctor’s advice, or the advice of other professional therapists. Please consult them in all cases for symptoms that require a diagnosis or medical attention, or before you stop or begin taking any medication, treatment or diet. Success!